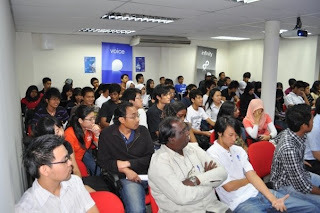 On 4th July 2009, the Fedora Malaysia Team , in collaboration with Saito College held a Fedora 11 Release Event at Saito College, Petaling Jaya. We had a large crowd, more than 90. The audience were mainly students and lecturers who are new or does not know about FOSS, so, like most of Malaysia Team event so far, we did several talks about FOSS and Fedora to give some introduction to them : "What Is FOSS", "What Is Fedora, Fedora Project, and how you can be part of it ", "FOSS artwork tools" (Saito College is mainly an art college), "Security in Fedora". Before lunch, we played the Fedora 11 Release Video and Big Buck Bunny to the audience. Big Buck Bunny generated quite some interest from the designer crowd among the audience towards blender. Event ended on 5pm. 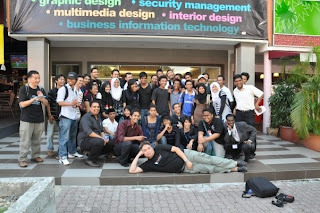 All of us was flat tired, but I believe it worth it. 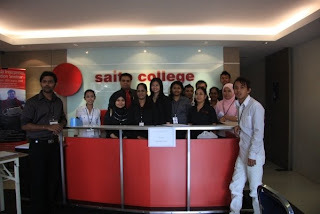 Big thanks to Saito College for the great support, sponsoring the venue and lunch for us. Also thanks to the local community who came to support event, and also thanks ti all the attendees of the event.